I'm your competent partner for professional advice. Nearly 2/3 of all dementia patients suffer from sleep disorders. They find it difficult to come to a resting state in the evening and wake up throughout the night with loss of orientation causing them to be in poor condition in the morning. They try to make up for the lost sleep during the day with short naps. However, due to the constant napping, they find it even more difficult to fall asleep the following evening. This accelerates the progression of the disease. The lack of sleep and its consequences deplete the strength of the afflicted individuals as well as family members and nursing personnel. The right proportion of deep sleep and dreaming phases during the night is of great significance for the overall quality of sleep. This rhythm is often disturbed for dementia patients. In addition, due to dementia, the perception of sensory information is impaired, for example, the sensations on the skin. Due to this, the patients are not able to change to a more comfortable reclining position like they are used to. Our dementia mattress, "ThevoVital", allows afflicted individuals to fall asleep again peacefully and with a sense of security. 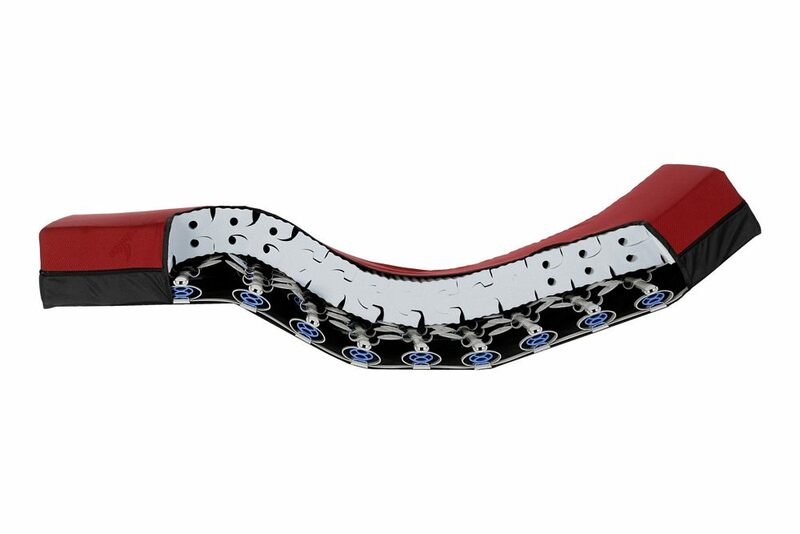 Through its micro stimulation system it supports the orientation and prevents pain. The construction of the ThevoVital mattress is based on the patented concept of the MiS Micro-Stimulation: Specially arranged wing springs promote self provoked movement of the body and contribute to continuously supplying the brain with sensory information. If this information is missing, especially for dementia afflicted patients, an "internal restlessness" that lead to sleep disorders is the immediate consequence. 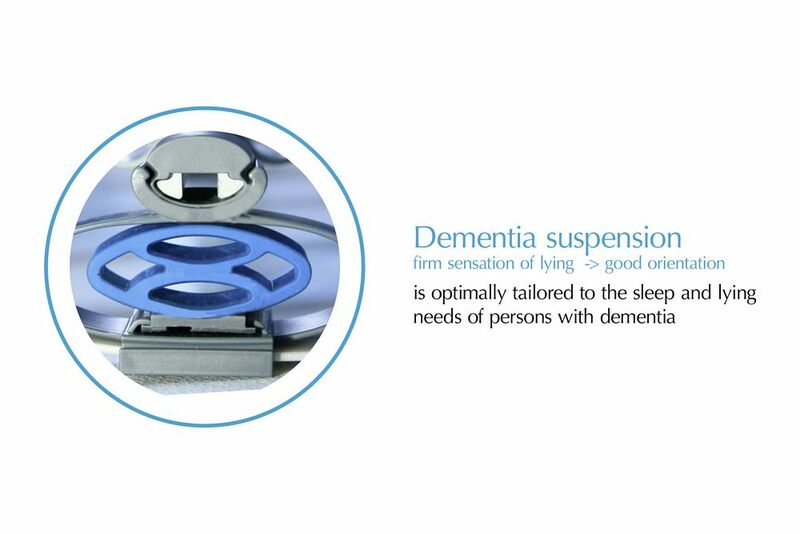 With the help of the ThevoVital, the dramatic restrictions that affect the quality of life of dementia afflicted patients become noticeably reduced due to quality sleep. Please give us a call toll free at 800.870.2122. During our normal business hours, Monday through Friday, 8 AM to 4:30 PM Pacific Standard Time, we are available to personally answer your call. If you reach us outside of normal hours, please feel free to leave us a voicemail or email us (info@thomashilfen.com.) There are no complicated phone menus to navigate. A real person will answer your call. Can I place a Thevo mattress on a standard bed frame? Yes, a Thevo mattress may fit in a variety of bed frames. For example, a platform style frame, a slatted bed frame, or on top of a firm box spring or a Bunkie board. If a solid base of support is not available, an inexpensive Bunkie board may be added. In addition, Thevo mattresses are flexible and may contour to an adjustable bed frame (the mattress head and foot may elevate with an adjustable frame.) Please note that the bed frame is sold separately. How is it different than Memory foam? 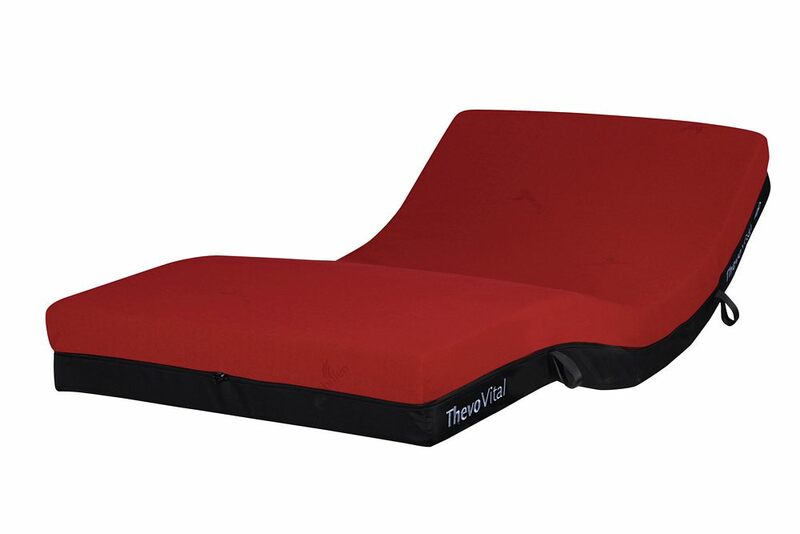 Memory Foam is closed cell foam, and Thevo is made from proprietary open celled foam. Closed cell foam typically holds the moisture close to the user’s body and may cause the body to overheat. Some types of closed cell foam are also known to off gas and produce a certain odor. Thevo’s open celled foam wicks the moisture away from the body, helping to maintain an ideal body temperature. What are the advantages of a Split King (or Split Queen) mattress? A Split mattress means that the mattress and underframe are split evenly in the middle. A split mattress allows you to customize the mattress based on you and your partner’s needs. For example, if one person requires a pain relief mattress and the other requires a mattress for Parkinson’s disease, both needs may be met. In addition, if there is a substantial weight difference between the two partners, it is possible to accommodate each person. If you are trying to fit a mattress into a tight stairwell or hallway, a Split King or Queen may be a preferable choice for you. Whether you select a one piece Queen or a split King or Queen, each of these Thevo mattresses has its own underframe under the foam to avoid motion transfer so your movements are unlikely to disturb your partner. If you wish to ensure that the two pieces fit snugly together, you may wish to select an optional bed doubler product. How can I try the mattress? What do I do if I’m unhappy with the mattress? Please see information about our 30 Night Try-Out program and how to go about returning your mattress. Custom size mattresses are available, depending upon the measurements and specifications needed. If you cannot find what you are looking for within our current offerings, please contact us and let us know what your needs are. We will let you know if we are able to build a mattress to your specifications as well as notify you of the cost and the lead time. Thomashilfen in the German language literally means “Thomas Helps.” We are a third generation business owned by the Thomas family of Bremervoerde, Germany. We have over 60 years of experience building specialty mattresses, and we were the first company to patent the wooden slatted bed frame. 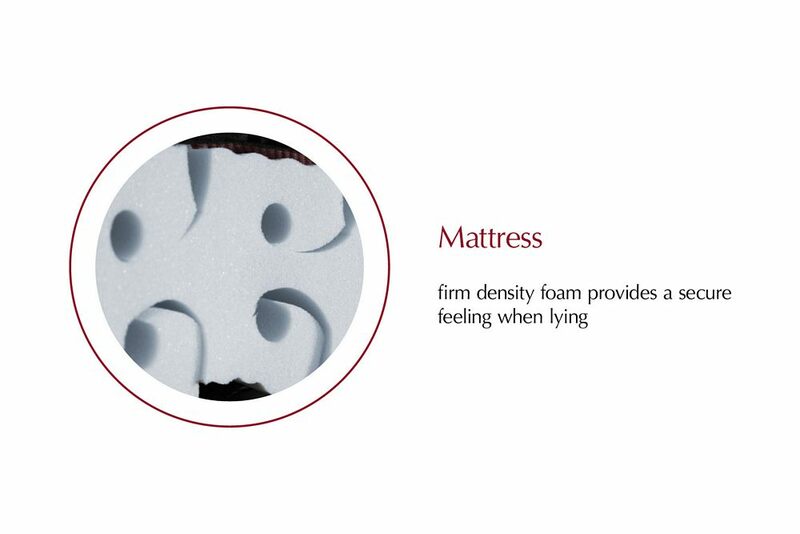 We design and manufacture our mattresses in Germany from the highest quality materials. We import our products by ocean container into our North American headquarters in Seattle, Washington. Our Seattle office will address any question, service issue or concern that you may have. Can I buy replacement covers? Yes, it is certainly possible to purchase additional covers for your Thevo mattress. See our offerings on the web site, or please contact us if you need assistance. How do I care for my product and do I need to rotate or flip it? Thevo mattresses are all designed to be one sided, always with the red side up (black side down.) If you desire, you may rotate the head and foot side of the mattress, but it is not necessary or required. Customer referral program: How do I claim my referral reward? We will provide you with a code to pass on to your friend or family member. If they provide us with the code when purchasing, we will mail you a $50.00 Visa/Mastercard or equivalent cash card. The best compliment we could receive from you is a referral to your friends and family. This is our way of saying thanks! Why do you have different weight ranges on your mattresses? 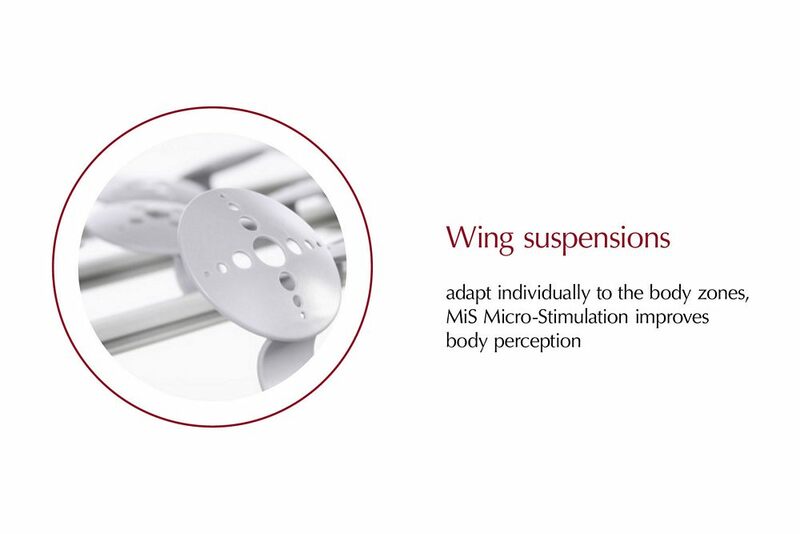 Our uniquely designed mattress system incorporates a high quality foam supported by our patented MiS Micro-Stimulation® winged suspension underframe. The underframe is designed to provide a small amount of gentle feedback in response to your body’s movements. For this reason, the foam density is important so that each person receives the optimal benefit of the Micro-Stimulation®, so we list weight ranges. If you have questions about the weight range general guidelines, please do not hesitate to contact us. Subscribe to our free Thomashilfen Newsletter and don't miss any news or special offers.